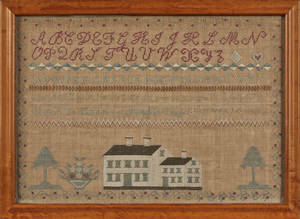 Moravian needlework, ca. 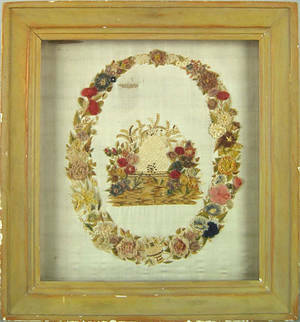 1840 beehive and wreath, probably Lititz or Bethlehem, worked in chenille, crepe, and paint on silk ground, 22" x 20". 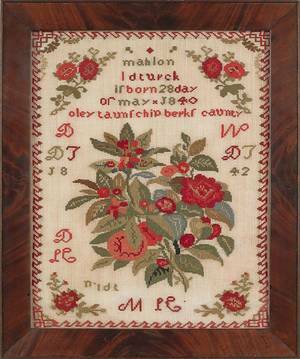 For a similar example, see Herr, The Ornamental Branches , pg. 32 and 58. 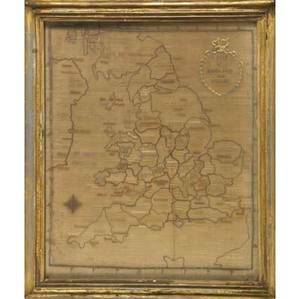 19th c. needlework depicting a map of england, ca. 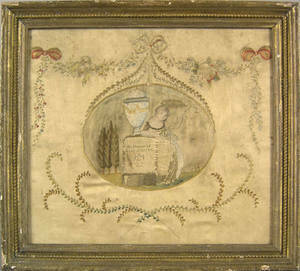 1830-1840. 25" x 20"